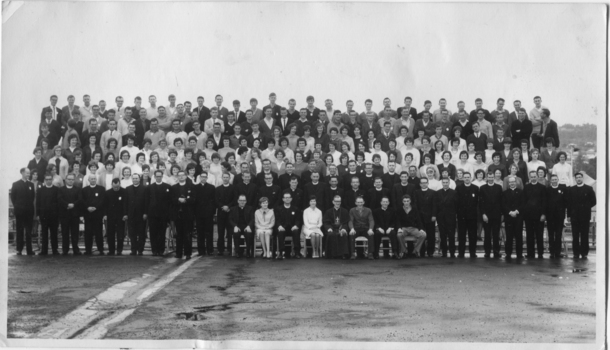 The Archive, established by YCW (Holdings) in 2013 is tasked with the collection, preservation and dissemination of materials (manuscripts, images, ephemera and audio) related to the history of the Australian YCW, which was founded in Melbourne in 1941. The Collection in currently housed in Fitzroy, Melbourne, however custodianship with be passed to the State Library of Victoria in 2017 - 2018. 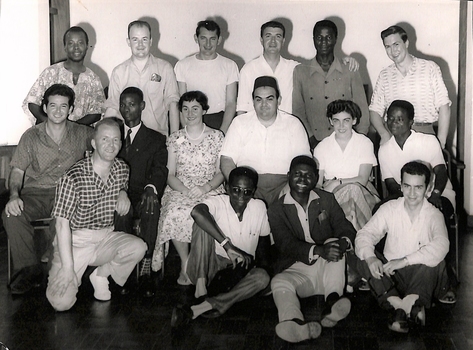 The Collection contains manuscripts, photographs and ephemera related to the activities of the YCW movement from 1941 to the present day. The bulk of the materials are from the period 1950 to 1990. 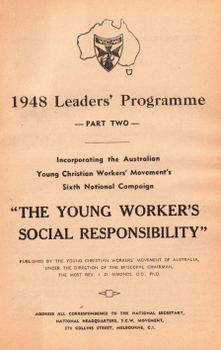 Whilst the collection is mostly comprised of correspondence, agenda, minutes and publications produced by the Australian and International YCW, it also contains publications and documents produced by other twentieth century. 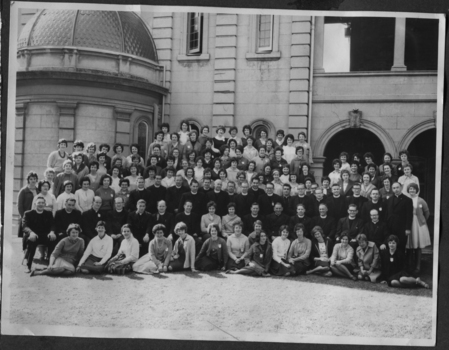 The YCW Collection is an invaluable source for researchers interested in exploring work, faith and methodologies of education in Australia. 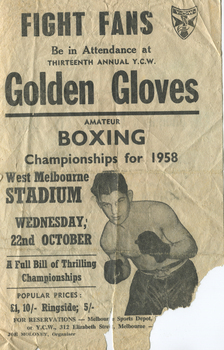 Part of the Marg Armstrong (nee Moore) collection. This bulletin provides a guide to group leaders for conducting meetings. 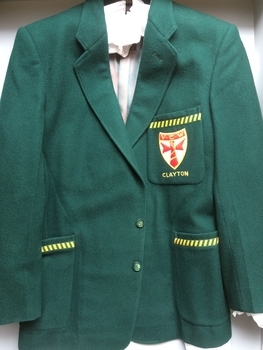 It belonged to Margaret Moore, who was an influential leader within YCW. A red transparent audio vinal record accompanied by a 5 page typed printed booklet. 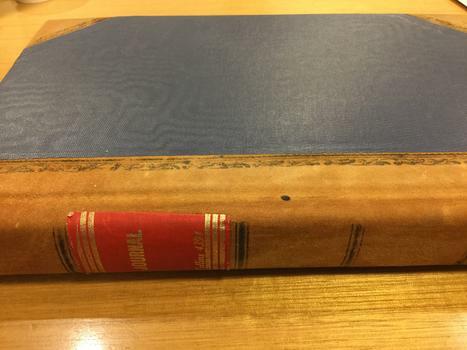 This vinal record includes devotional prayers in an audio format to guide study groups in prayer. The record has Devotional 1 on the A side and Devotional 2 on the B side. 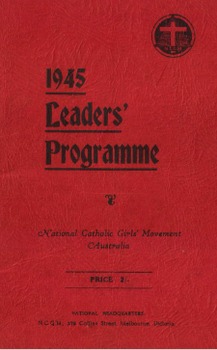 The accompanying booklet contains additional prayer script between a group "Leader" and the "group members" for Devotionals 1, 2, 3 and 4. The disc for Devotionals 3 and 4 is not currently available. 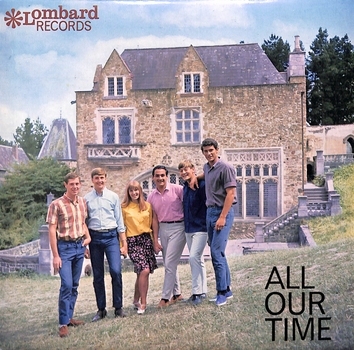 This Vinal Record belonged to Frank Sheehan (Member of the Victorian YCW leadership team). 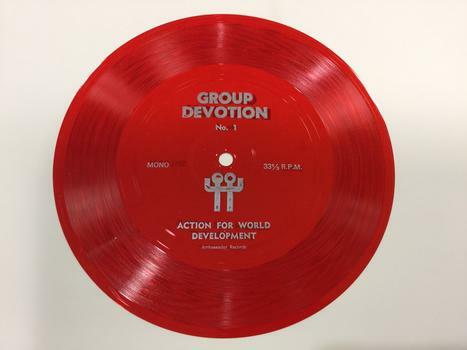 Red Vinal Record - Insribed with "Group Devotion" and "Action For World Developemt" a and a picture of 2 Stick Figure people standing together. Booklet - Insribed with "Action for World Development" and "Study Group Devotions" and a picture of 2 Stick Figure people standing together. Small, felt, green and gold pennant flag featuring the logo of the Australian YCW, superimposed over a map of Australia. 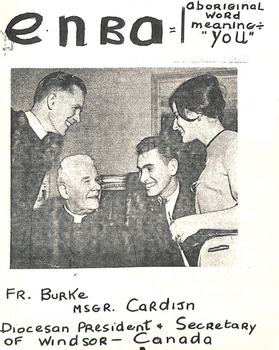 This felt pennant was produced by the Australian YCW and given to participants on the 'pilgrimage' to Rome in 1957, for the first gathering of the International Young Christian Workers. YCWs from various nations exchanged pennants in Rome, gathered as souvenirs of the event. 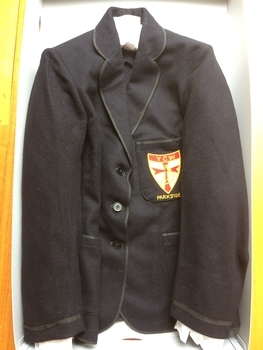 This is a rare piece, collected by Bill Armstrong, AO who was one of the young workers who visited Rome in 1957. When situated along side the pennants of other participating nations, it symbolises the internationalism of the YCW movement. Discoloured newspaper clippings and documents. Some with sharp cut edges and others attached to non-related articles. 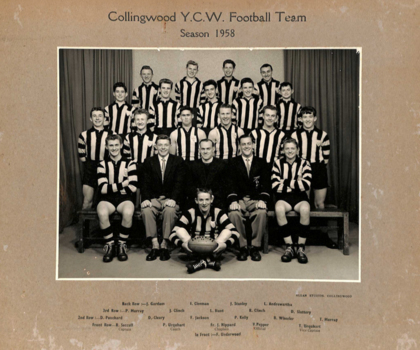 Between 1959 and 1962, the Melbourne YCW (Boys) participated in local campaigns to allow sports to be played on municipal ovals on a Sunday. 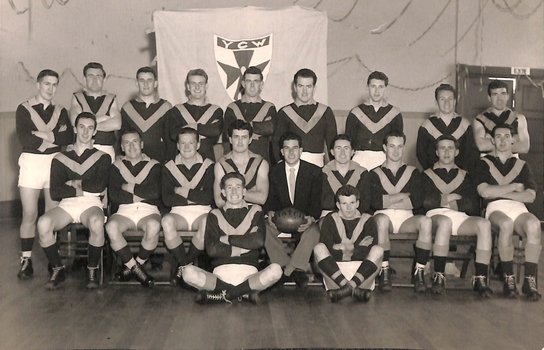 A key battleground was in the suburb of Camberwell in 1959. 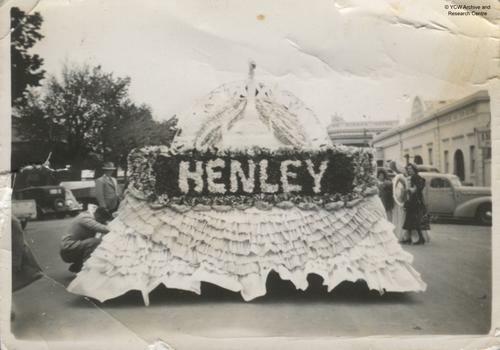 This collection of material relates to the campaign and includes newspaper clippings, leaflets and internal reports and memos. 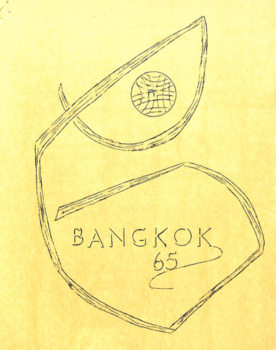 It is a sample of the materials held in collection (Contact the Archive to access MO_4_24). 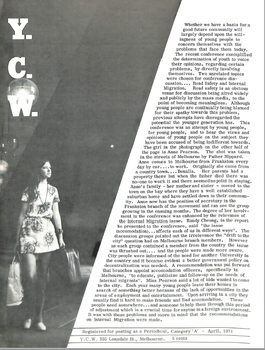 It features materials produced by the YCW and other parties involved in the campaign. 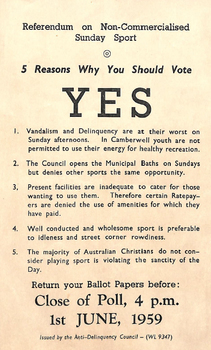 The debate around Sunday sport campaign revealed Victoria's growing suburban sporting culture, the developing concept of youth, and the YCW position on leisure as a break from work rather than 'dour' Sabbatarianism. Past YCW member Peter Cox created this scrapbook to document the reach the YCW Road Safety Campaign had in State wide newspapers from 1970-1973. 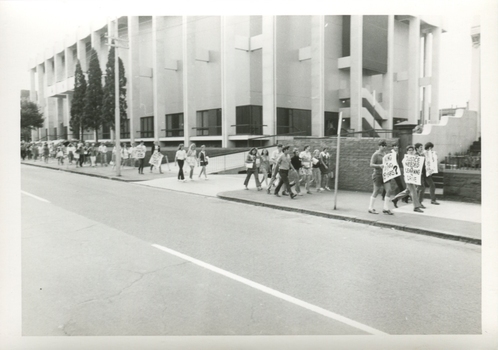 The campaigned advocated for youth education and public enforcement on wearing of seatbelts, drink driving limits, Australia's drinking culture and decreasing the Victorian road toll. 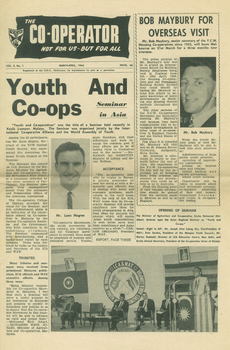 The road safety campaign undertaken by the YCW in the 1960-1970s was headed by Peter Cox. Small white pennant with red cross featuring a stalk of wheat. Design repeats on the reverse. 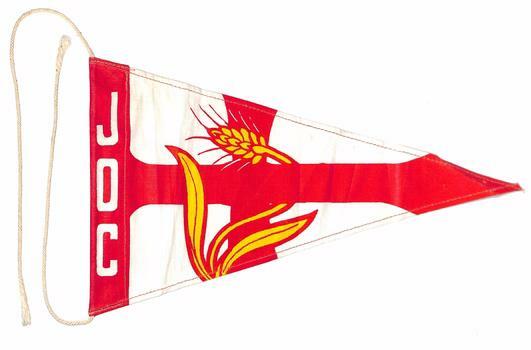 This canvas pennant was produced by an international JOC and given to participants on the 'pilgrimage' to Rome in 1957 for the first gathering of the International Young Christian Workers. YCWs from various nations exchanged pennants in Rome, gathered as souvenirs of the event. On the left edge of the pennant are the letters 'JOC'. Letters repeat on the right edge on the reverse. Orange, Red and White Small Pennant featuring a picture of the World marking with the YCW flag Rome. This canvas pennant was produced by the KAJ Falnders and given to participants on the 'pilgrimage' to Rome in 1957, for the first gathering of the International Young Christian Workers. YCWs from various nations exchanged pennants in Rome, gathered as souvenirs of the event. 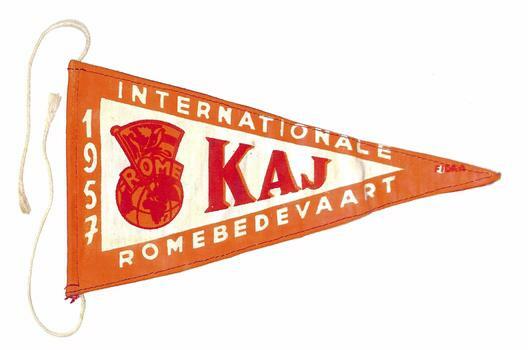 In the centre of the pennant are the letters KAJ and on the edges of the pennant it reads: 'Internationale Romebedevaart'. In the tip of the Pennant are the letters FIDRA. On the reverse side in the centre are the letters VKAJ. 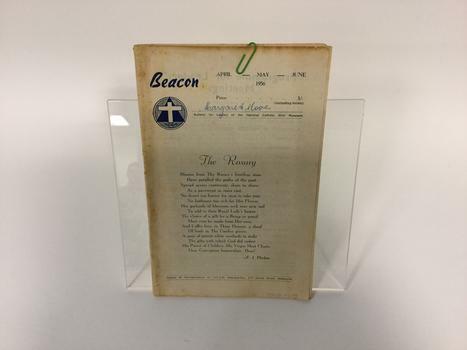 This canvas pennant was produced by the Argentinian YCW and given to participants on the 'pilgrimage' to Rome in 1957, for the first gathering of the International Young Christian Workers. YCWs from various nations exchanged pennants in Rome, gathered as souvenirs of the event. 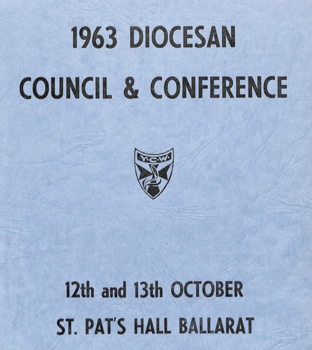 This is a rare piece, collected by Bill Armstrong AO who was one of the young workers who visited Rome in 1957. When situated along side the pennants of other participating nations, it symbolises the internationalism of the YCW movement. Small canvas pennant featuring a caricature of people praying at the base of the Virgin Mary with a small village in the background. 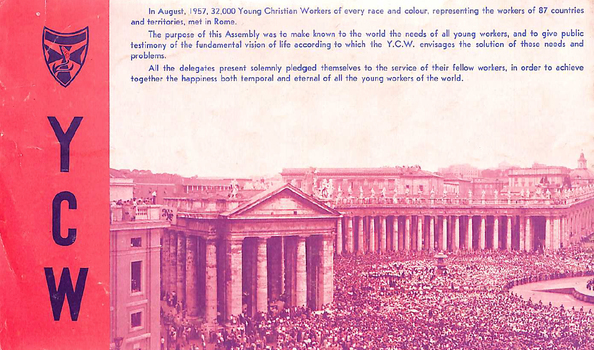 This canvas pennant was produced by the Portuguese YCW and given to participants on the 'pilgrimage' to Rome in 1957, for the first gathering of the International Young Christian Workers. YCWs from various nations exchanged pennants in Rome, gathered as souvenirs of the event. 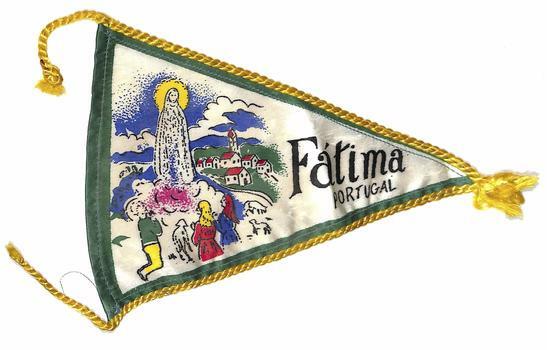 The tip of pennant features the words 'Fatima Portugal'.